It was always unlikely Prince Harry and Meghan Markle’s wedding would involve a cheesy DJ coercing everyone into an awkward cha-cha slide. However, it seems the musical entertainment will be way beyond anything one would normally expect from a wedding – even one as posh as this. International pop star Ed Sheeran could well be performing at the elegant reception, in keeping with the strictly ginger theme of the day. According to Us Weekly, the 26-year-old Shape of You singer has been approached by Harry himself to perform at Windsor Castle for the wedding of the year. Prince Harry has personally requested Ed perform at his wedding. Ed Sheeran has yet to confirm but I’m not sure you turn down Prince Harry and Meghan Markle. People love his romantic love songs so he’s an ideal candidate for that first dance and I think Harry has always enjoyed Ed Sheeran. 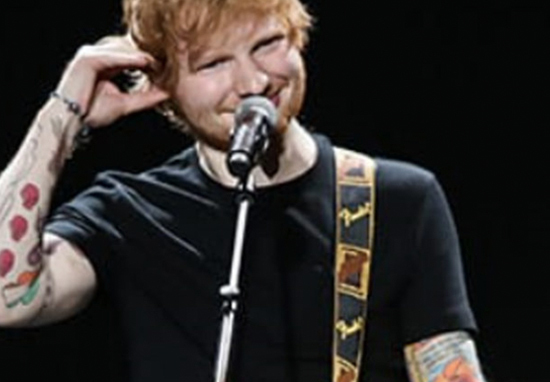 Ed had better be careful with his set if he does play because he nearly had his face – accidentally – cut off by Harry’s cousin Princess Beatrice when she was playing about with a sword, so the ice is already pretty well broken between the houses of Sheeran and Windsor. Although it has yet to be confirmed whether or not the singer has agreed, Ed has previously given us reason to believe he would be willing to get his curtsy on. 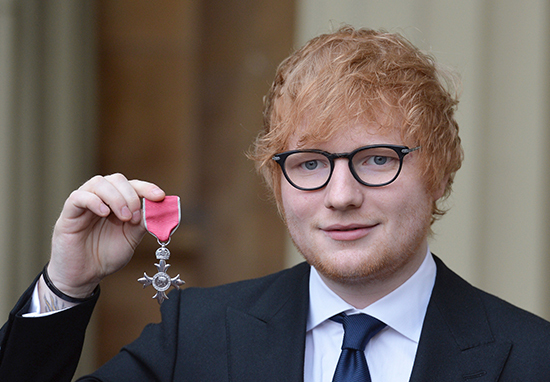 After receiving his MBE back in December, KIIS FM interrogated Ed about whether he could be up for belting out a few tunes at the ceremony. Maybe the flame-haired pair will get chatting over the wild boar roll buffet come May 19? As of yet, we don’t know at which point Ed will be regaling the royals with his MBE-worthy vocal chords. However, it is thought he will sing at the regal evening reception. This may well rival the entertainment at his big brother Prince William’s star studded wedding bash back in 2011. Here, Ellie Goulding performed Elton John’s Your Song for Wills and Kate’s first dance. This song is said to have been loved by William and Harry’s philanthropic mother, the late Princess Diana. It’s even rumoured Elton John could be getting his piano out to croon for Harry and Meghan as they tie the knot. The singer has deep connections to the family, having sang a heartbreaking rendition of Candle in the Wind at Princess Diana’s funeral. He has now tellingly cancelled two Las Vegas tour dates which had been scheduled for the wedding weekend. Will the sunglasses wearing songbird be on hand to chuck some confetti? That is terrific for Ed and Congrats to the Royal Couple. What do you think? Does our Ed make the Perfect choice?